There are, of course, several contributing facotrs to a future of sustainable development. That goes for the whole world as well as fashion. All steps that are moving towards sustainable planet is a step in the right direction. Then there are steps that are significantly better and steps that are “just” a better alternative. 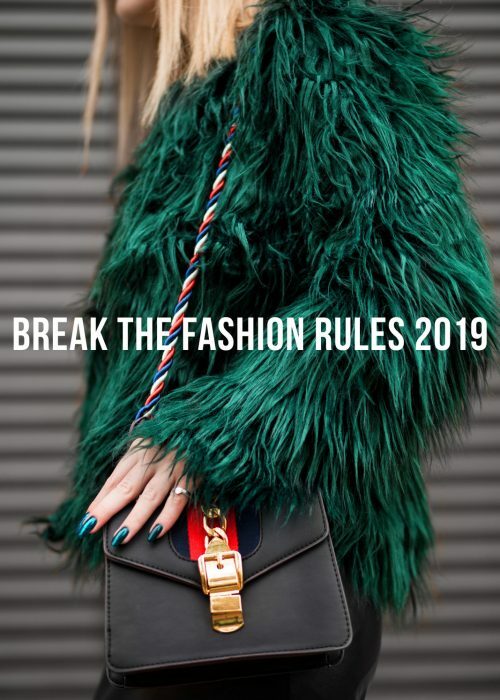 Compared to buying a new, eco-friendly, piece or styling a clothing piece you already have, the latter can be argued as the better alternative. The reason why is that the clothing piece has already been produced. You already own it. No need for more resources to be used, which inevitably a new clothing piece requires. Even though an eco-friendly piece is done in a sustainable way, there are still a lot of resources used. Logically, a piece you already own is better to make the most of than to buy a new piece. If you were to buy a new one, second hand would be the better alternative as it also already would have been produced. But from a financial perspective, you’d still save money using what you already have, which leads back to styling, again. From a fashion perspective, the tool of styling is also the power of making something old look new. 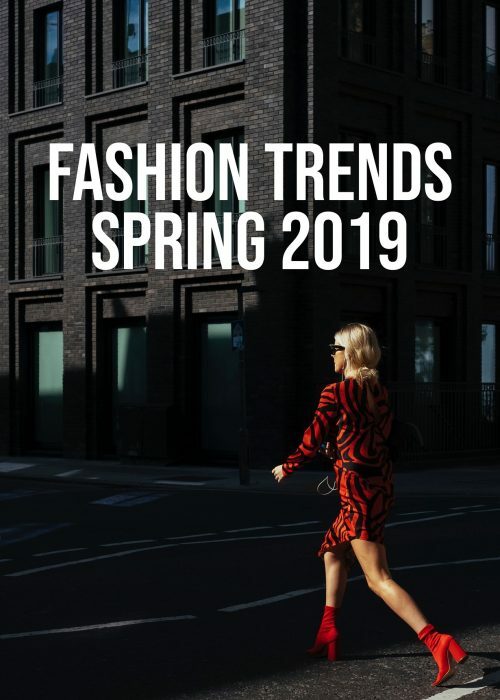 One of the driven forces behind the constant urge to buy new clothes is to look fresh, trendy and updated. One of the key principles that styling centers around is the ability to make something look interesting. Adding elements or removing elements that will change the interpretation of the piece and the outfit. That’s why the wardrobe heroes are the basic clothing pieces. Basic as in clothing pieces that comes in a neutral color, style and sans details. They’re easy to style in new and interesting ways as they have an anonymous appearance to begin with. That’s partly why the basic clothes are so beloved, it’s easy to make them look trendy and fresh as they never go out of style. Essentially what it comes down to is that you take what you have and you make the most of it. You have a clothing piece and you style it in all ways possible that are reasonable and suits your style. That’s the essence of styling and what works in favor of sustainable development. Obviously the styling process and developing it is a never ending one. We can all contribute to teach and learn how to style smarter and style better. I do styling posts weekly (catch them here), but I could easily focus more on styling the basic pieces rather than trendy pieces solely. But in the meantime, there are things you can start with today. No one knows your wardrobe like you do, or your personal style. Here are some, very brief, tips on how to make the most out of your clothing piece. I’ll do more posts on this, and touch them in the daily posts too and not only in Stories, so don’t stress! Style Challenge – First tips is to do a style challenge with yourself. Sit down with the clothing piece in front of your wardrobe and literally see the ways you can style the clothing piece. Try to come up with as many ideas as possible under 10 minutes and write them down. If you’re focused, I can guarantee you that you’ll have 20-30 outfits in mind. A beginner’s tips is to start with a basic piece. Take your black blazer and see where it’ll do its work! Stylist Friend – We all have that friend that dresses better than you (or hopefully ;)). That friend can also be up for a style challenge where you give the friend the role of the stylist. Put your friend in front of your wardrobe and with a clothing piece. Let your friend come up with different outfits for you. Hopefully this person will have another perspective on your wardrobe and love those boring old clothes you’re tired of. You know, give them a new light which you’ll hopefully love! 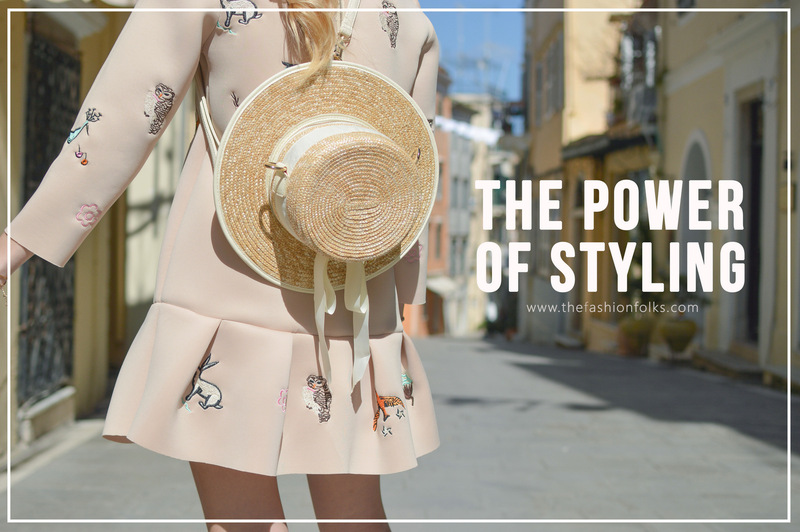 Fashionista Do – Even if you might not have a fashionable friend whose style you adore, you definitely should have a style icon or two. Do a simple google search and see how your favorite fashionista has worn the clothing piece. Again, easier if you begin with a basic piece as it’s most likely that your fashion icon has worn it too. 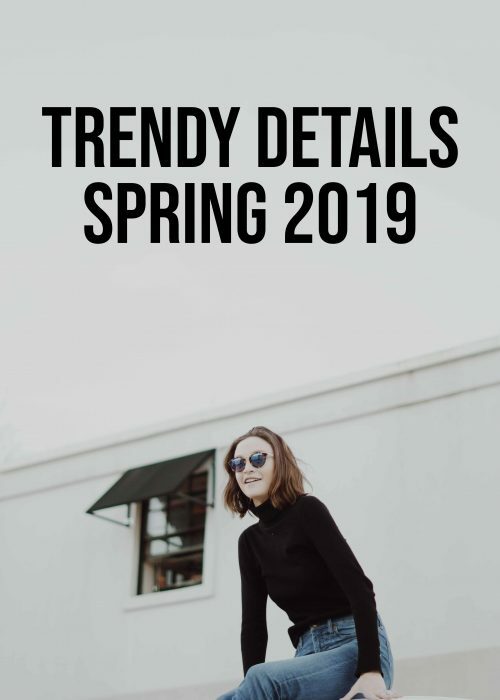 This will also help you in getting closer to what you want you style to look like, which is most likely the style of the person you adore, or a version of it at least! Expert Help – By expert help I mean the help of your favorite blogger or Pinterest or style magazines or anything similar. There’s a huge information flow that is accessible 24/7 for you to take part of. Go on Pinterest and search for the clothing piece and see all the different guides that will pop up. Or hit a Youtube tutorial if you want more in-depth! Oh dear this post spoke to me on a personal level. Whenever I visit highstreet stores all I can think about is ‘Why so much? Who’s going to buy all that? Who makes all of these? How much does it cost to the environment?’ It hurts me to the core knowing that majority of those clothes end up in landfill although so many resources are used to create a single t-shirt. I’ve been a having charity shopper lately for that same reason. I also changed the way I blog my style as in, not every week a new outfit with new items. I’m focusing of creating ‘Re-wearability Lookbooks’ on my YT channel and has temping as it is I force my self to not do clothing hauls. I just don’t wanna fuel the problem arousing in people the desire to buy more. Becoming more conscious made me stick to buying basic clothes only, in neutral colors and repeating them as much as I can. I feel like the future is definitely a minimalist wardrobe for everybody..which isn’t a bad thing – it’s so calming and refreshing. For now I keep the fun on bags and shoes which unfortunately are better off bought new. But at least I have the mindset shifted. One of my long-term dreams was to have a susntainable clothing line yet as you said resources still have to be used which makes me guilty of having such dream haha. Time will tell what’s best. Lovely post. Gonna catch up with all the others you linked. I’m so happy to hear that you’ve shifted the mindset, that’s the first step in anything that’s in need of a change. So a huge yay for that! And lovely that you’ve changed you content too and centered it to styling and recreating looks. If more bloggers thought like you, we’d come a long way already. Hahah and I can definitely relate to not wanting to fuel the problem. That’s why I rarely, if ever, talks about buying clothes and link up with where you can buy. That’s not the way for me! LoL hi5 for not linking anything! Love to know I’m not the only one. Even on my lookbooks I don’t link where people can buy the clothes because most of them are thrifted/old. I could find similar pieces in online stores but I don’t want to promote/fuel a problem. Can’t wait for the day more bloggers will realize this. It’s gonna take a while but we’ll get there. What a great post! It’s funny because I always stare into my closet of what I could change or just seeing certain pieces I regret buying or just confused about how to pair it with other pieces. I only have ONE friend who has great style so I need to get her in to help me out like you suggested lol! Terrific post babe. I don’t know how it’s possible that I have a closet exploding with clothes and sometimes feeling like I have nothing to wear. I need to get more creative with how I put things together so I don’t always feel like I need to update my wardrobe with a new piece. I definitely visit other bloggers pages for inspiration and Instagram is also a big source of that inspiration. I do need to hit up pinterest a lot more though. I love bringing back things in my closet. I try hard not to get rid of pieces that I know I can work with in the future. This is such a great and inspiration post! So true!!! I’ve kind of just reached this point within my own wardrobe recently. I’m good with basics, and I have a few statement pieces. There’s nothing that I need to add, so I’m more focused on restyling pieces to create variety. I love the idea of listing all the different ways to style an individual piece. I’ve got to do that. I love this! I always love developing my style in different ways!